Thermon heat tracing cables use specialised heating technologies suitable for a vast range of industries and applications – this includes self-regulating, power limiting, parallel constant wattage, mineral-insulated, steam trace and instrument tubing bundles. Thermon heat tracing cables, thermostats and accessories guarantee frost protection and process temperature maintenance of pipes, drums, tanks, hoppers and vessels which are at risk of freezing in low ambient temperatures or requiring critical process temperature heating – safe and hazardous areas heating cables (ATEX & IECEx certified) are available. 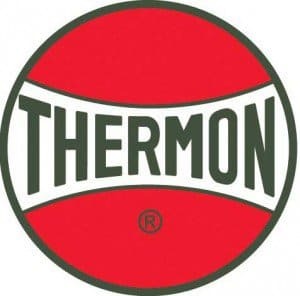 For over 60 years, Thermon have developed a large portfolio of heat tracing cables and products for the external application of electric heat to pipes, tanks and instrumentation using cable. Specified throughout the global commercial, industrial and hazardous area industries they have earned the title “The Heat Tracing Experts”. 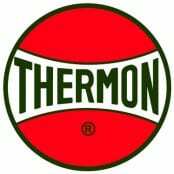 Thermon have provided heat tracing cables to the process industries since their inception and service the oil, gas and petrochemical industry with their wealth of knowledge and dedication to providing engineered solutions delivering total heating systems from design to supported installation. 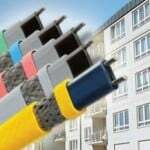 Thermon’s core business is their range of heat tracing cables for frost protection or temperature maintenance. Using different technologies including self-regulating, mineral insulated, parallel and series resistance cables Thermon are able to offer the correct solution for your application. 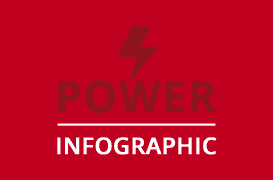 Thermon Cables: Offshore Oil & Gas Heat Tracing – international hazardous area classification heater cables including IECEx and ATEX. Thermon steam tracing cables provide process temperature maintenance up to 121°C. Steam Tracing Applications : Asphalt, Sulfur, Fuel Oil, Crude Oil, Caustics, Acids & Amines. Image: Hertel. 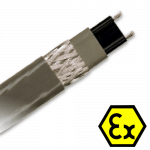 Heat Tracing – Thermon Manufacturing Co.
Thermon can offer heat tracing cables, thermostats and accessories which can be used in Zone 1 & Zone 2 hazardous areas and are certified to ATEX & IECEx standards. Heat tracing is used throughout the world by many industries for frost protection and temperature maintenance of pipelines, tanks and vessels. These are often found in hazardous areas requiring the heat tracing system to be compliant with the relevant international classifications. Industrial heating cables can withstand high exposure temperatures of up to 600ºC and some cables can withstand steam purging and corrosive damage from organic and inorganic chemicals. Suitable for installation in both onshore and offshore environments due to their international classifications and certifications ensuring the heating cables are safe and reliable. Electric Heat Tracing Installation – Thermon Manufacturing Co.
FLX Frost Protection Cable is used to protect exposed water pipework from freezing in low ambient temperatures. Suitable for use with hoppers, tanks and vessels due to the ability to be used with both plastic and metal surfaces. Typical applications : mains cold water, sprinkler pipework, boosted cold water services and chilled water. HSX Hot Water Cable is designed to ensure the maintenance of hot water temperatures at 50, 55 or 60ºC. Maintaining at these temperatures prevents legionella. Hot water can be provided instantly with HSX cable as a cost effective solution as installation costs are reduced compared to traditional recirculation systems. KSR Ramp Heating Cable is designed to be directly buried within concrete to prevent snow and ice forming on ramps and loading bays. RGS Roof Gutter Cable is designed to protect roof and gutter applications by stopping the build up of snow and ice reducing the risk of cracked/burst roof structures, drains and deformed gutters. Mainly used to offer protection to roofs, gutters and downpipes as the Thermon RGS cable eradicates the risk posed to the public by potential snow and or ice fall from roofs during the thawing process. Since inception in 1954, Thermon have continued to produce unique heat tracing solutions for many worldwide standard and bespoke applications.